Other people in America simply suffer from eating more than they should, which leads to gaining unnecessary amounts of weight and could trigger numerous physical and mental health issues. A big reason we overeat is because we’ve learned to eat more than necessary. In fact, a survey that measured serving sizes from takeout, eat-in, and fast food chains found that America’s favorite carb — the bagel — was 195% larger than the standard size established by the United States Department of Agriculture (USDA). They also found that muffins were 333% larger and the amount of pasta served to patrons was 480 percent bigger than what the serving size says on the box. We’re literally biting off more than we can chew. In order to control portion sizes, people need to understand serving sizes. A serving size is an amount of food an individual should consume, which is calculated by government agencies like the USDA and the Department of Health and Human Services. Serving sizes don’t need to be memorized, and in most cases just require reading nutritional labels. However, things can get hairy when we go out to eat, since most restaurant meals don’t come with a thumbs up from the USDA. It happens at home, too; in most cases, people eat a larger portion than the correct serving size, which is what causes overeating and an influx of health problems. Luckily, there’s a way to control portion sizes beyond having better self-control (though that’s important, too!) Here are ten tips to portion your food out correctly, and as a result, feel healthier and more confident in your body. There have been a handful of studies that found that the sizes of our plates, spoons, and glasses actually affects how much food is consumed. For starters, eating dinner on a large plate can make the serving look smaller, which can lead to going back for seconds (or thirds!). One study found that people eating pasta from a large bowl ate 77% more than those eating from a smaller bowl, while another experiment revealed people ate 31% more ice cream when it was out of a large bowl, while others ate 14.5% more when using a larger spoon. The most interesting part is people don’t even realize they are eating more when consuming food from larger dishware. So, a surefire way to eat less — and not notice! — is to ditch the larger plates and bowls you’re used to eating with and start using smaller sizes. 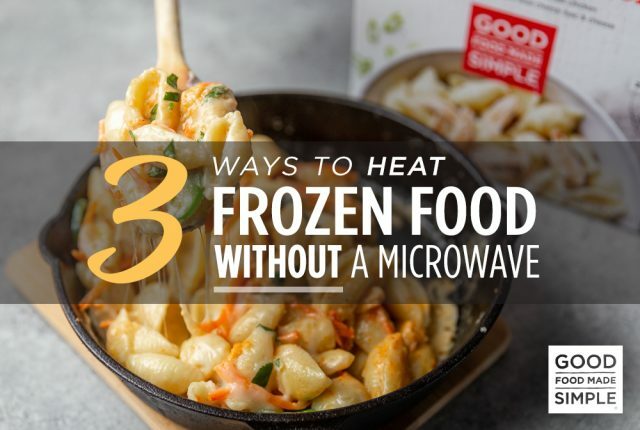 The beauty of frozen meals is they are portioned out for you. So instead of making your own stovetop oatmeal (and being generous with the amount of honey or syrup poured on top) consider a ready–made oatmeal bowl as a portion-controlled option with the correct serving already inside. 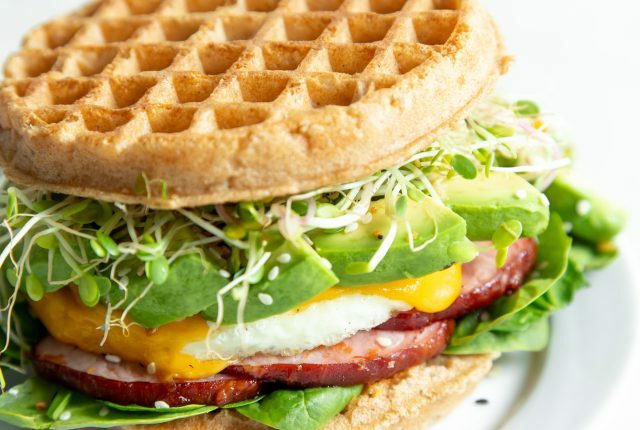 Other delicious portion-controlled options could include breakfast burritos or buffalo mac n cheese as a way to control over eating more indulgent options— excess sugar and preservatives nowhere to be seen. Frozen healthy meals taste delicious and are a great replacement over more indulgent options — like restaurant burritos — which more often than not exceed the recommended serving size. This one is super important! People like to think that by skipping a meal, they will ultimately eat less and lose weight in the process. The problem with that is our hunger will eventually catch up with us, and we actually may end up eating more at lunch after fasting through breakfast. Stick to three, portioned meals a day to prevent overindulging or reaching a point where the body feels like it’s starving. Another way to avoid overeating is to begin each meal by drinking a glass of water. Oftentimes we mistake hunger for thirst, so drinking some H20 helps the body identify what it really wants and needs. Remember those scary restaurant stats we mentioned earlier? Avoid getting served nearly five times the amount of pasta you should be eating at an Italian restaurant and ask for half of your meal to be packaged up when served to you. This way, you’re eating closer to what is the correct portion size and you have leftovers for the following day. Win-win. When cooking at home, the best way to ensure a balanced meal is to actually proportion out the amount of protein, grains, and veggies you’re eating. USDA’s MyPlate recommends that half of the plate should be filled with fruits and vegetables, a quarter should be whole grains (like brown rice or quinoa) and the other quarter should be protein. Actually placing the food on a plate like this helps ensure you’re eating the right amount of everything. Get in the habit of actually using measuring cups and spoons. It’s easy to want to eyeball everything, but you would be surprised by what a ½ cup serving of cereal actually looks like, along with what two tablespoons of peanut butter ends up being on toast. Eating slowly ensures that our stomachs catch up with our minds and signals that we’re full before it’s too late. Not only does eating at a slower pace help us eat less, but it also supports better digestion and hydration, along with allowing us to actually enjoy what we eat. Think about it: How often do we take notice of each bite of a burger or salad, appreciating the taste versus biting into it again before we have even swallowed? One study found that women who ate quickly consumed a whopping 646 calories in nine minutes, while women who ate slowly consumed only 579 — in 29 minutes! Never ever, ever eat straight from a bag or box. I’ve been known to bring a bag of chips with me to the couch, and before I know it the eight servings in the bag are now all in my stomach. Always measure out the snack you want to munch on and place it in a bowl to avoid eating way more than you should. 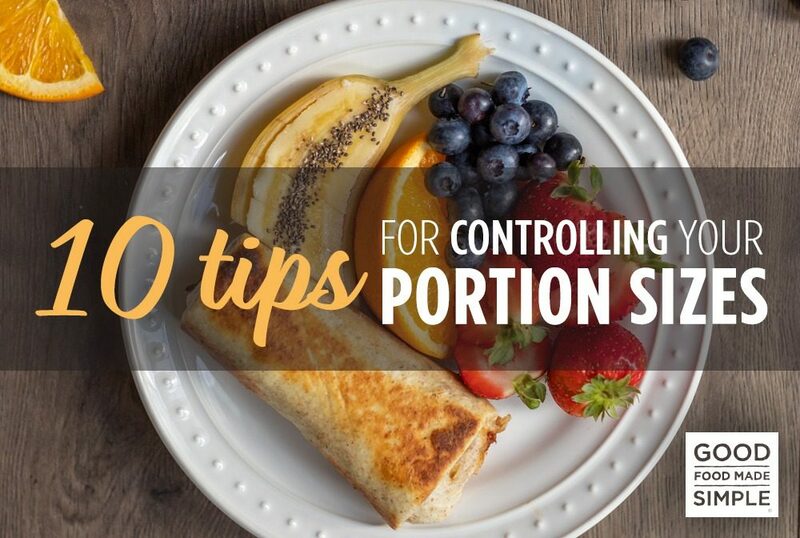 Keeping track of how much you’re eating will also help you with portion control. If you write down everything you eat throughout the day, including what you graze on, you might realize you’ve almost capped out on your calories even before dinner! This could help you cook a smaller portion since you know the body doesn’t need a big meal. Traveling can sometimes wreak havoc on our food choices. Instead of relying on food at rest stops, bus stations, or airport terminals, bring an array of snacks with you that are portioned out correctly. Things like popcorn, yogurt, sliced veggies, and individual packages of nut butter are great to always have on hand so you’re eating doesn’t get out of control. Overeating doesn’t have to consume our lives. 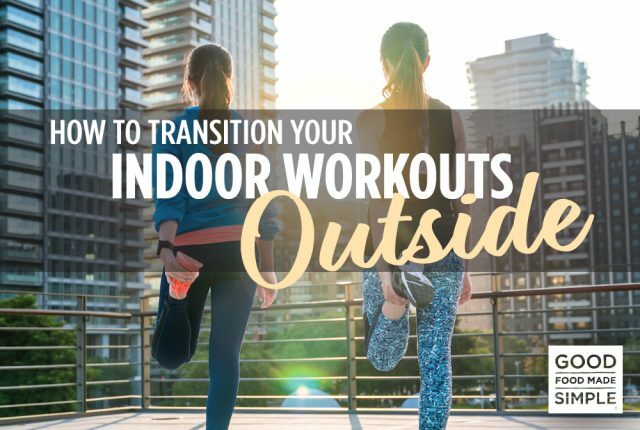 By making a few small shifts and habit changes, we can be eating less than we ever thought, while still satisfying our stomachs and sticking to what nutritionists believe is the correct amount of food we need to live a healthy life.